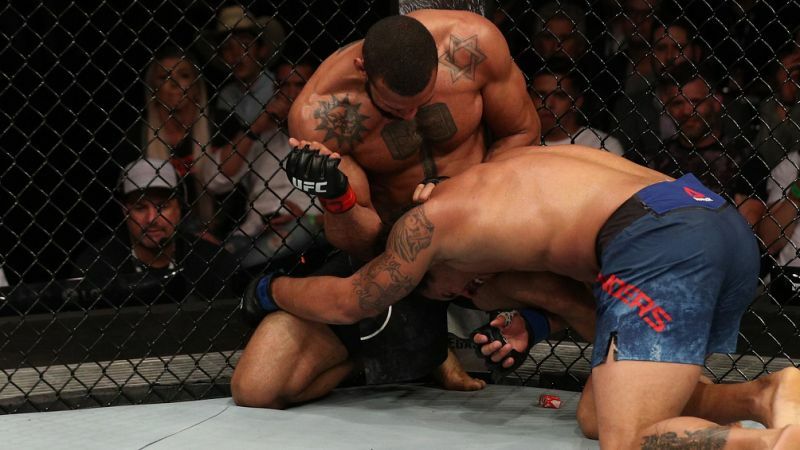 The main event of this past weekend's UFC Fight Night 137 event in São Paulo, Brazil, was one of the best fights of the year, as light heavyweights Thiago Santos and Eryk Anders went to war for three hard rounds. The two traded significant strikes, takedowns, and submission attempts for 15 full minutes before Anders collapsed from exhaustion and damage at the end of the third round and referee Marc Goddard was forced to stop the fight, declaring Santos the winner via TKO. The win earned Santos his full purse and a share of "Fight of the Night" for a cool $50,000, but the biggest reward for Santos might be the fight he gets after this. Making his UFC light heavyweight debut on short notice after a successful run as a middleweight, Santos immediately looks like a title contender in the shallow 205-pound weight class, and the UFC matchmakers are surely excited about the prospect of him fighting some of the top talent in the division. At 34 years old, Santos is not a young pup, but he does have a potential second life as a light heavyweight. He was a dangerous fighter at middleweight due to his extreme knockout power, but the weight cut zapped him of his cardio and chin, meaning that it was unlikely he would ever rise to the top of the ranks at 185 lbs. At 205 though, Santos has a golden opportunity to climb the ladder quickly and get to a title shot within a few fights. 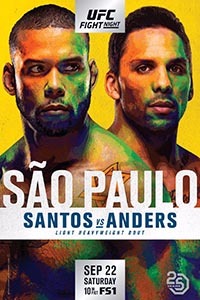 Even though Anders wasn't ranked, everyone knows what a quality fighter he is, and for Santos to become the first man to finish him says something. Whenever Santos is ready to fight again, the UFC should go ahead and fast-track him against a top-five or at the very least a top-10 opponent. 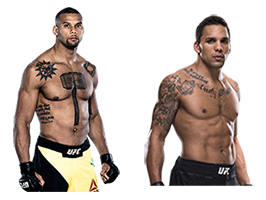 Remember, Santos was supposed to fight Jimi Manuwa originally before Manuwa pulled out with an injury. The UFC could very well match Santos up with Manuwa again, or even Manuwa's original opponent Glover Teixiera, but the matchmakers might give him a fight against someone ranked even higher, like Ilir Latifi or Jan Blachowicz. The UFC could even consider Santos fighting Alexander Gustafsson, though "The Mauler" might be too much of a step up at this time. But at the very least, Santos needs to be fighting someone in the Top 5. If Anthony Smith can land a fight against top-three-ranked Volkan Oezdemir, then Santos should be able to get a fight with Gustafsson, Blachowicz, or Latifi. Last week I wrote about how the UFC light heavyweight division was finally looking up and Santos' win at UFC Fight Night 137 showed once again that the 205-pound division is getting better after being stagnant the last few years. Santos looks like a serious threat right now at light heavyweight with his combination of toughness and knockout power, and having a "Fight of the Year" candidate against Anders will only boost his stock. It was a smart move for Santos to venture up to light heavyweight, and now let's see what he does with this second act in his UFC career. 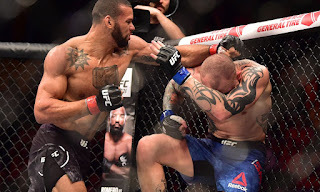 UFC Fight Night 137: Santos vs. Anders (formerly UFC Fight Night 137: Manuwa vs. Santos, UFC Fight Night 137: Teixeira vs. Manuwa) took place September 22, 2018 at Ibirapuera Gymnasium in São Paulo, Brazil.